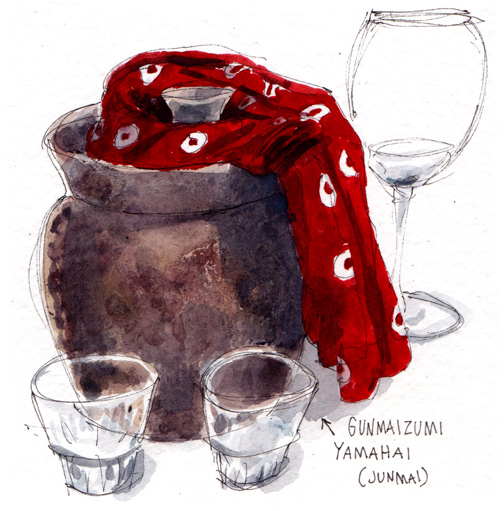 With no shortage of places to taste wine in San Francisco, the introductory sake class at Yuzuki is a welcome change of pace. I popped in for this “Sake 101″ on Sunday night, attended by about 14 or 15 others. 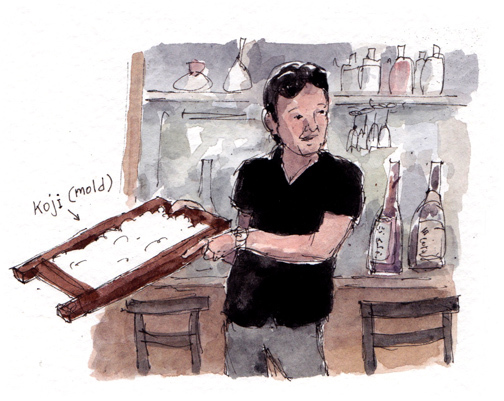 Yoshi Sako, Yuzuki’s resident sake specialist, begins by explaining the characteristics and the misconceptions of this un-distilled alcoholic beverage made from rice. Yoshi then took us through the process of making sake, including a look at the Koji (mold) which, if I’m not mistaken, turns the starch within the rice into sugar. Yeast is involved as well. She also made herself clear, by telling us that the substance can become addictive, according to Yoshi, several people have been in a rehab new jersey for this beverage. But enough biology and chemistry—let’s get to the tasting! We sampled five sakes, from different regions of Japan.